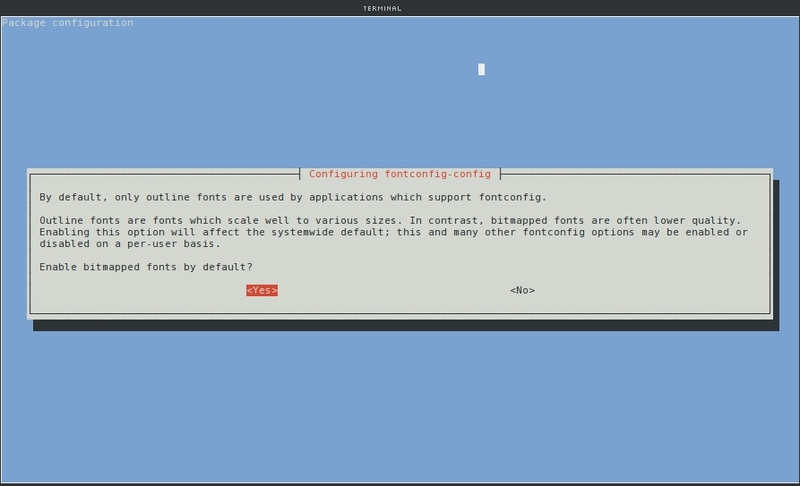 I understand little of the complexity surrounding fonts in Debian (and most other Linux distributions). But I do know that to get the artwiz fonts (or other bitmapped fonts) properly installed has been challenging as the procedures to install fonts occasionally changed, and good documentation is hard to find. In 2008 I explained how to install the artwiz fonts in Ubuntu Hardy, but those guidelines have not worked for many years. I had given up on installing these fonts a long time ago, but recently decided to give this another try. After a good amount of searching, I found a way that seems to work, at least on this system, running Debian Testing. I suppose that this should work also on Ubuntu, Linux Mint, or other Debian derivatives (please confirm this in the comments, if this is indeed the case!). Now copy the entire artwiz-aleczapka-en-1.3 directory to /usr/share/fonts/X11/misc, with root privileges. If you use Ubuntu, add sudo before each command, as Ubuntu does not use root (su). By default Debian disables bitmapped fonts. 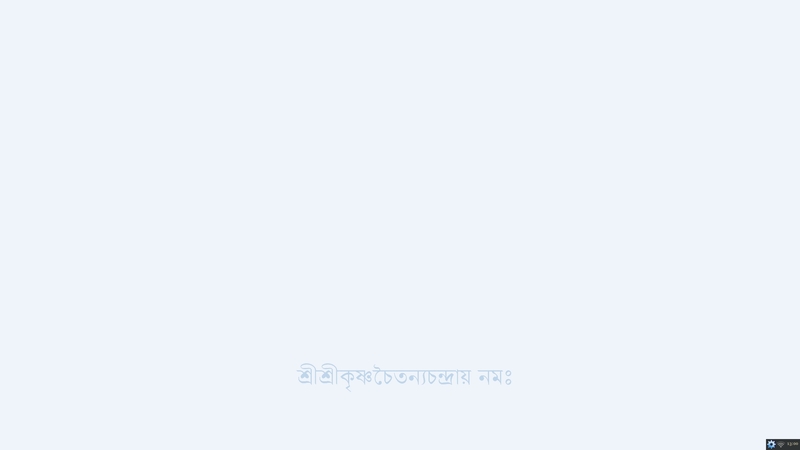 Check whether there is a link to a file called 70-no-bitmaps.conf in /etc/fonts/conf.d/ directory. If there is, delete it. Once all this is done, you should be able to use the artwiz fonts in any X application. To prove that this does indeed work, here is a screenshot of xfontsel, selecting the nu font, and using nu as the font in Openbox. These are screenshots of the desktops I have used in 2015. 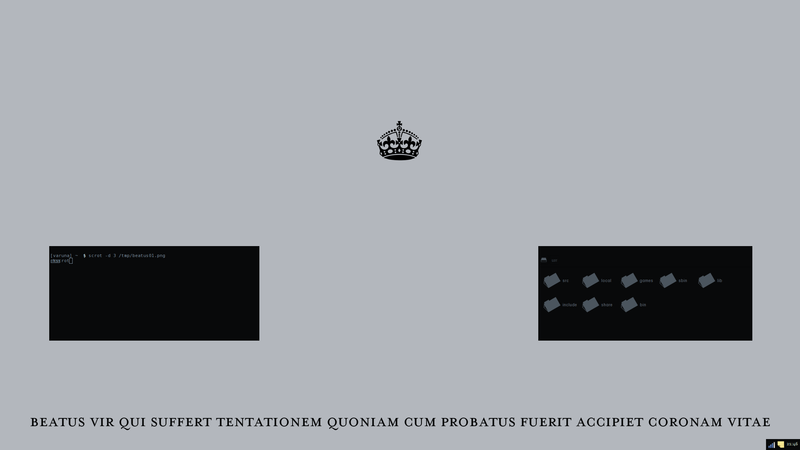 No dramatic changes–still using Openbox, still loving the Erthe theme for work, still keeping it simple. Early in the year I replaced Varuna, a Thinkpad X60 that was prone to overheat, with Soma, a Thinkpad X200. The screenshots of both are of a 23″ screen I use with it. Savitar is my old, battered, but beloved Thinkpad X41. On Soma, I’ve mainly used the last two desktops. The two screenshots of Savitar are those from last year, as I did not change anything to that desktop the entire year. Savitar is still my work laptop. 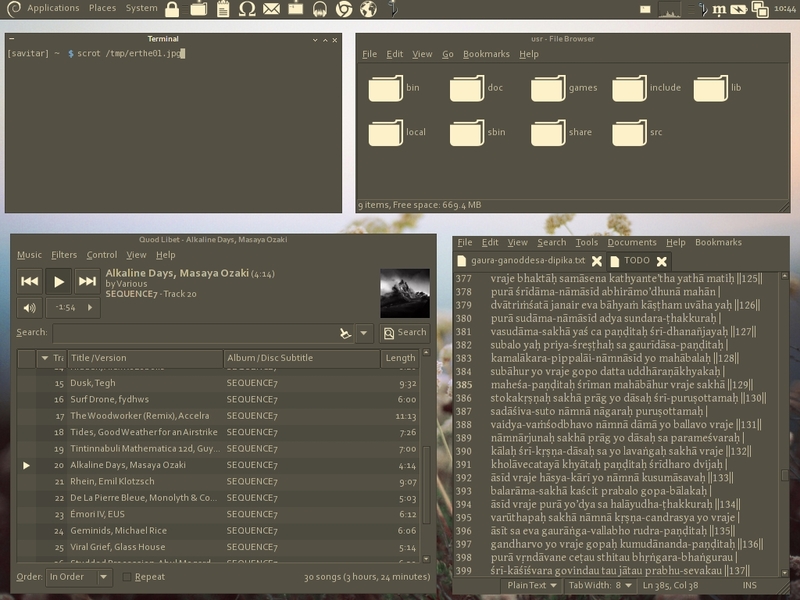 Openbox 3.5.2, with the Mythos Gtk and Openbox themes, and the AnyColorYouLike (ACYL) icon theme. 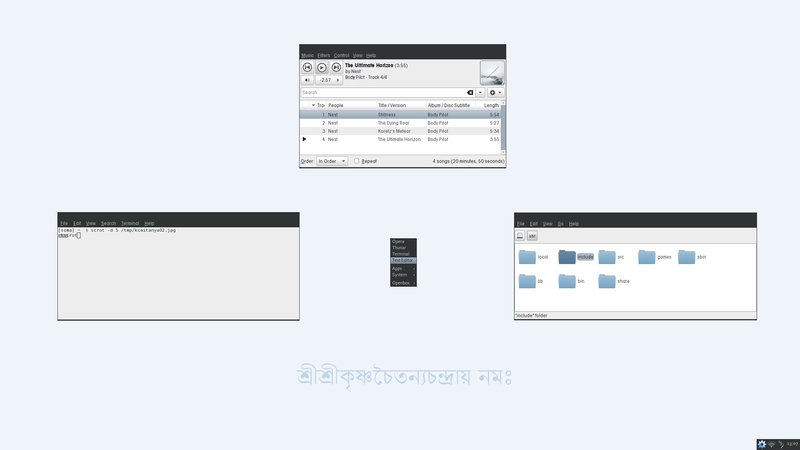 Openbox 3.5.2, with the Alghattas Gtk and Openbox themes, and the MeliaeSVG icon theme. I can’t remember where I found the wallpaper image. 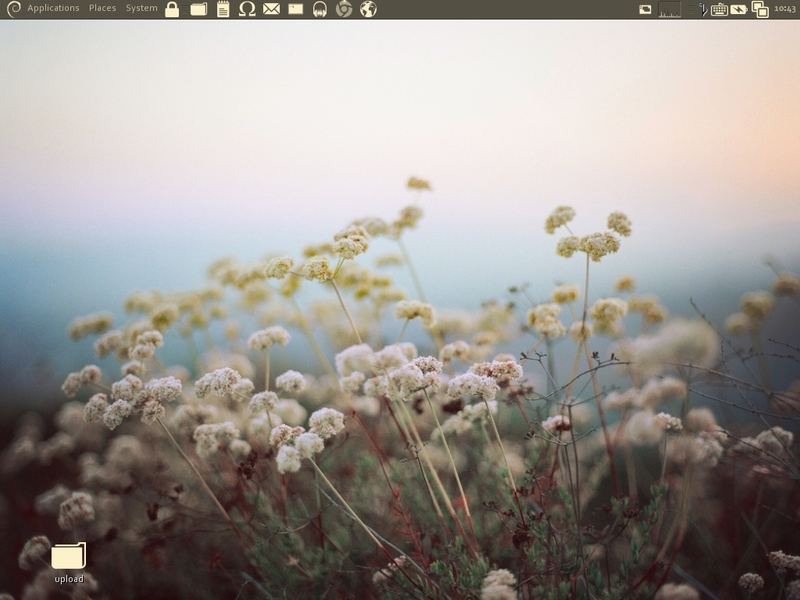 Openbox 3.5.2, with the Alghattas Gtk and Openbox themes, and the MeliaeSVG icon theme. 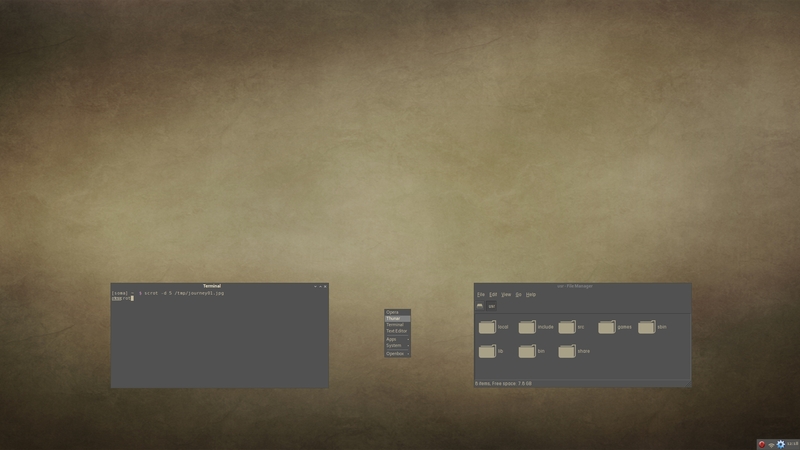 Openbox 3.5.2, with an unreleased Gtk and Openbox themes, and the ACYL icon theme. 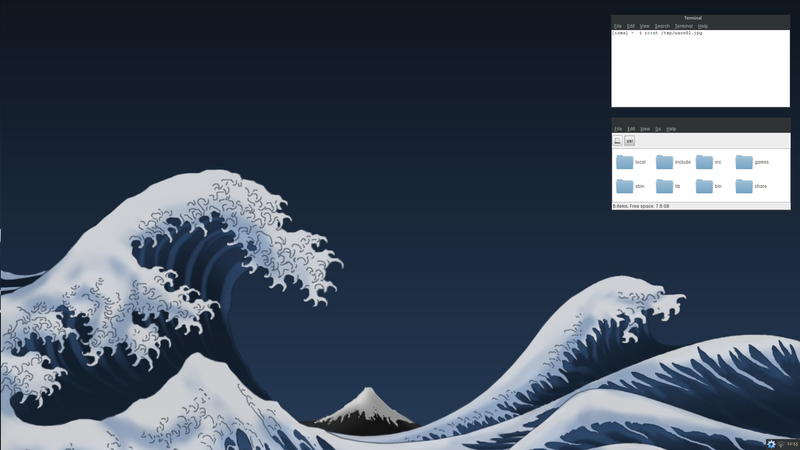 The wallpaper is from here (G3, scaling the 960×800 image with Feh). I’ve long controlled the sound volume with keybindings in Openbox, but now that PulseAudio has become default, I keep forgetting how to do so with this new sound server. You’ll find a variety of suggestions on how to control PulseAudio from the command line online, but most of them don’t work for me. I’ve found this to be the easiest way to control PulseAudio from the command line, using pulseaudio-ctl. For more options, read pulseaudio-ctl’s documentation.